Join me as I explore this great city! 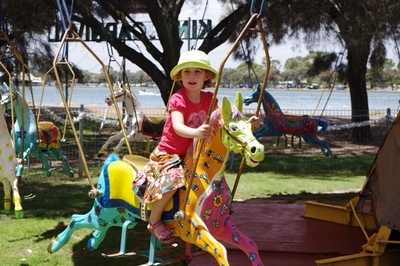 It's show time every weekend in Mandurah at King Carnival – complete with rides, tattooed ticket sellers and fairy floss. The fun fair, which is also open every day during school holidays, is free to enter. Ride prices start at $5, or less if you buy tickets in bulk. 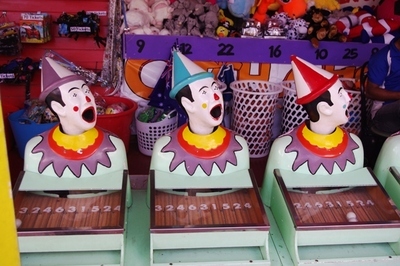 Traditional fairground games such as putting a ball into a clown's mouth are augmented with modern counterparts, including a Guitar Hero contest. 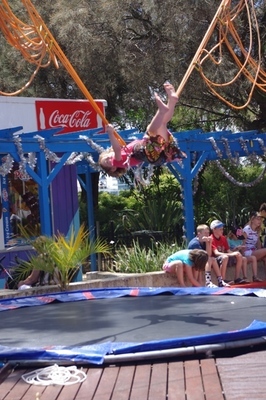 My daughter queued patiently for a go on the bungee trampoline – and was exultant about the experience, which allowed her to do flips for the first time. Other attractions include dodgem cars, Ferris wheel, arcade games, action rides, and roller coasters. For the littlies, there are a series of gentle rides, including one resembling Disneyland's famous tea cups, and several bouncy castle set-ups. 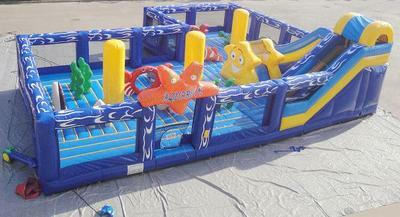 King Carnival also offers birthday parties, mini-golf, and corporate functions. Junk food and toilets are available on site. Why? Fun for all kids, even the grown up ones! When: 10am-10pm weekends, public holidays and school holidays. Mini-golf 10am-10pm daily. It's good to see that it's finally up and running properly. Previously known as King Carnival Unfair seems to be operating with all its rides. When we went years ago, it didn't even have half the rides or attractions open. More than half of the rides were closed and other games were 'out of order.' Well done to King Carnival for fixing it up. Good article Victoria. It was going full tilt when were there, thanks for the kind words Simone. King Carnival Fair sounds awesome! 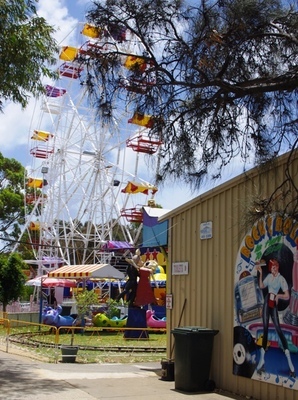 its a shame they don't have more of these fairs around perth. Would be good if they had something like that near our famous beaches. I travelled to adelaide recently and they have like a whole section of amusements indoor and outdoor based on kids and family. So much fun to be had. Everything all in the one place. I can't wait to take my kids there in Dec-Jan 2013. I grew up in Rockingham but moved to Queensland in 2008 and have many fond memories of the Mandurah forshore and King Carnival. I thought it was closed and that made me sad, but now I see it is open and most probably better than ever! Went to king carnival with the family for the first time. Half the rides were out of order. Kiosk kitchen was closed so couldn't buy lunch. Staff shows no interest in people. Understaffed stalls mean long waiting times. Don't recommend this place at all. Say your money.